A few weeks ago I pushed my way through a sea of blue and red stripes onto the metro. 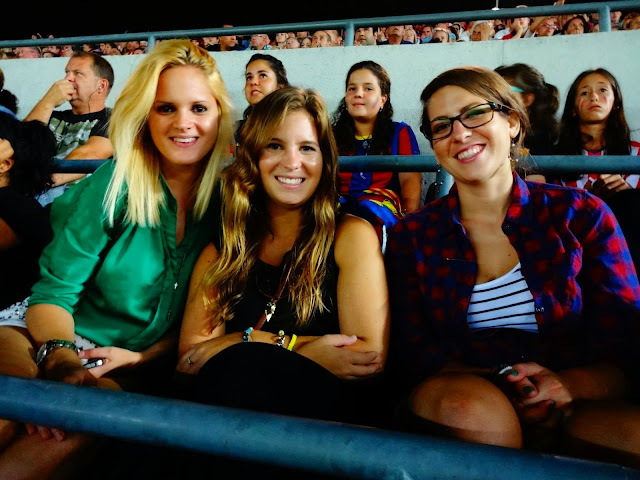 It was the night of the final game of the Supercopa de España, where Atletico Madrid traveled to compete against FC Barcelona in their home stadium. I was on my way to a friend's apartment for a few drinks before the game. 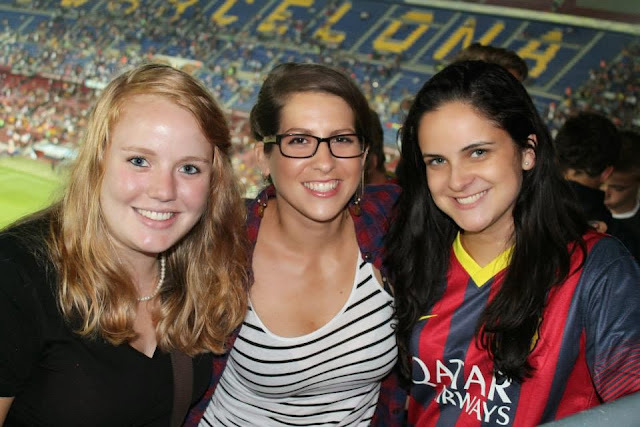 Walking from the metro to her place, I zig-zagged through crowds of fans who wore their city's colors proudly while sipping beers outside Camp Nou. 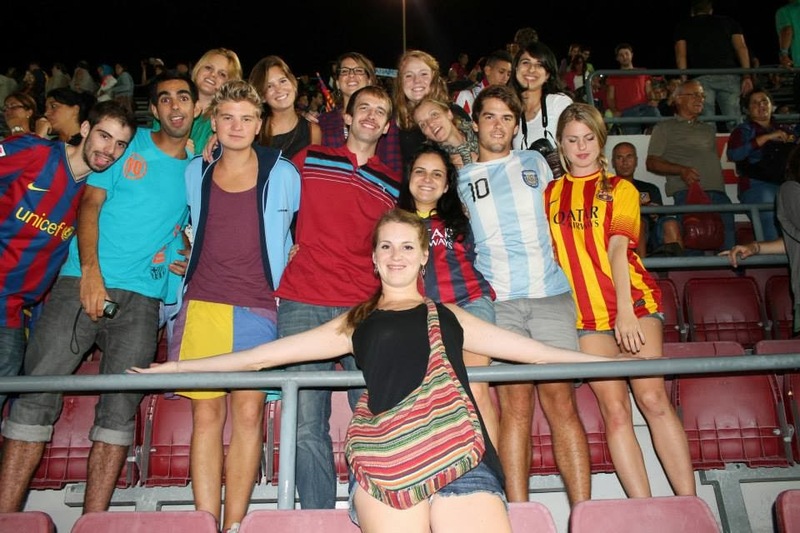 I was in Europe, Spain more importantly, where they live and breathe soccer football fútbol. And this was a big game: the final of a tournament that crowns the overall champions of the country. I prepared for it to be crazy: drunken fans, throwing flares, fights... I mean, we've all seen it on YouTube, right? I walked with a big group of my (mostly) foreigner friends into the stadium and many of us were surprised to find it an alcohol-free zone. It made me think about going to Washington Redskins games where everyone in the "standing room only" section seems to enjoy the drinks and atmosphere more than watching the game. We arrived at our seats (in the nosebleed section) where everyone around us sat patiently awaiting kickoff. As the game began, there were some cheers and obvious enthusiasm, but it was calm. Everyone was there to watch that game and not miss a single play due to rowdy fans or a beer/nacho run. When it got a little exciting, even two young girls politely asked us, in English, to sit down so they could see. I loved concentrating on the game and Spain definitely plays beautiful soccer. It was great to focus on the plays and predict what would happen next while surrounded by people who were just as mesmerized as I was. I spent the majority of my childhood focused on this sport and developing a love for the game. My weekday evenings were filled with practices and weekends passed by my parents taxiing me across various state lines to games and tournaments. Throughout high school I moved around clubs to find the best team where I could be scouted for college. Each time, I was forced to find a new rhythm with the players and coaches and lost a bit more confidence. When I finally made it into a Division 1 soccer program, all the fun began to slip away. It was extremely competitive but more so with fellow teammates than with the rival teams. Fueled by a corrupt coach, many girls only played for their scholarship money and seemed to have lost a love for the game. So, while breaking my mom's heart, I eventually quit my college team and made plans to study abroad. I took a small hiatus from soccer until I arrived in New Zealand and discovered a football team made up from other students in my building. It was a team of all boys and they didn't seem thrilled to let me join. Until one afternoon, they were on their way to a game but were missing a few men and told me to grab my cleats and hop on the bus. I played the majority of the game and I played well. I wasn't competing for a position or proving my skills, so my confidence was back and I was having fun. After that, I played multiple games with that team, as well as a few tournaments in New Zealand and some beach soccer in Fiji. I also played throughout my year in Ecuador as the only girl in many tournaments. 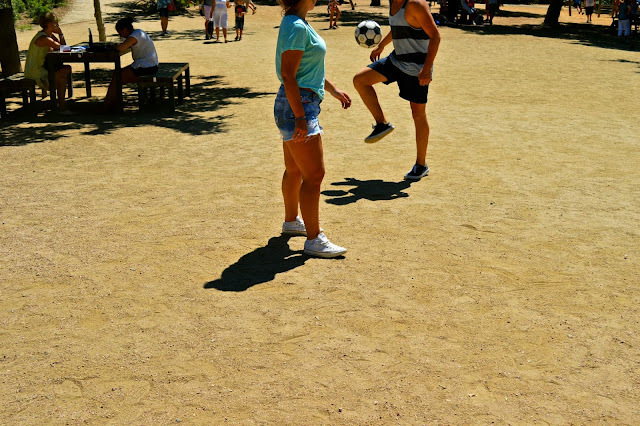 In Barcelona, I recently juggled with a few friends in the park and played a little pick-up game after we were all inspired by the SuperCopa final match. I've now played soccer on four different continents and hope to eventually play on two more (I don't think it would work out too well in Antarctica). Now that I've settled in Madrid, I'm continuously on the lookout for a team. Last night, the owner of a local bar invited me play in a co-ed tournament and promised me the contact information for a few female players the next time I returned. Playing abroad has connected me with many different people and helped me to find comfort, familiarity, and confidence while living so far from home. I'm excited to find a greater passion for fútbol while showing a few more people that American girls really do have some skills.